Taking a trip to South Carolina with friends and family? Looking for a place to stay for an extended period of time? The Dickson Suites are now available, perfect for a family outing while on your Anderson vacation, beautifully furnished for an extended stay. Decorated with beautiful, original heart pine flooring and majestic transom doors, this downtown Anderson suite is sure to be a memorable vacation for years to come. 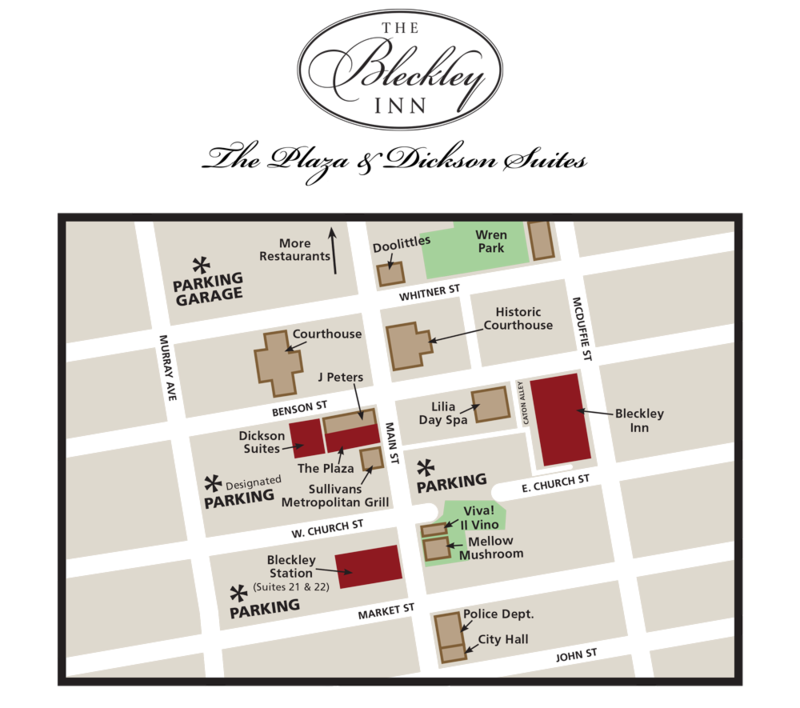 Our Dickson Suites in downtown Anderson are located 1 block from The Bleckley Inn. Up 1 flight of stairs, the suites offer a more intimate, family or corporate experience. Short-term or long-term availability. These rooms have a two-night minimum. Dickson 109 B has 2 fully furnished bedrooms, 2 baths, and a bonus office/3rd bedroom with a unique skylight, offering that peace only natural light can give. Dickson 111 B has 2 bedrooms and 2 baths. Located at: 109 B and 111 B West Benson Street, Anderson, SC 29624 right across from the Courthouse.